When searching for articles, look for the UMLinks button. It will find the full text of your article online if it's available through the libraries. Or, it will search the library catalog for you to see if we have your article in print--or let you request it via Interlibrary Loan. All of the above should be accessed from the Library Home Page. If you are off campus you will need to go though the Library Home Page and be authenticated using your NetID. What's a "Peer Reviewed" or "Refereed" Journal? Brief video by our Education subject specialist Steve McGinty. If you're searching for articles in certain databases, you can limit your search to peer-reviewed sources by checking a box on the search screen. For some databases, you may have to use "Advanced Search" to do this. If you're using an e-journal, find the "About this journal" link on the journal's page.If you're looking at a print journal, look at the editorial statement or instructions to authors (usually in the first few pages of the journal or at the end) for references to the peer-review process. Another way is to look up the journal in Ulrichsweb Global Serials Directory to find out whether the journal is peer reviewed. If Ulrichsweb says the journal is "refereed", it's peer reviewed. 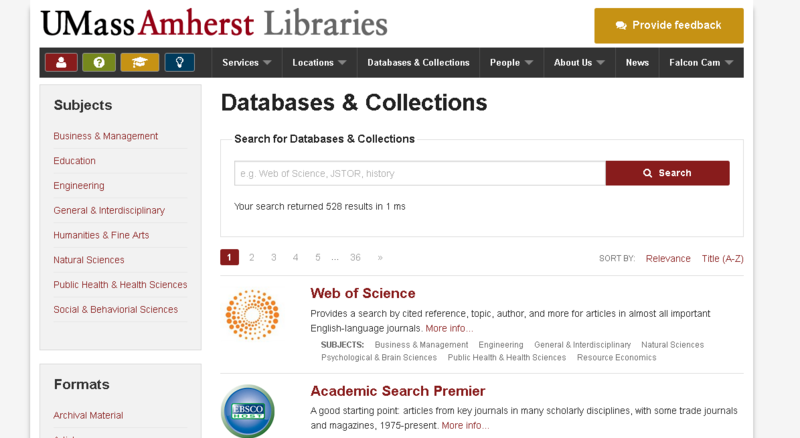 Look for Ulrichsweb in the Libraries' database collection.